You are here: Home / Articles / Is Leon really the answer? Is Leon really the answer? With the Swans about to embark upon 3 crucial games in October, we ask ourselves is Leon Britton really the answer to stopping our early season rot. There is no doubt about it that all Swansea City fans love Leon Britton, as let’s face it, he is a modern day Swansea City legend having spent the best part of the last 15 years at the club and amassing 146 Premier League appearances during that time. But at 35 years old, the time is probably right for Paul Clement to look at someone else to become the next “Britts”. It’s probably fair to say that Leon isn’t as sharp as he once was, but his experience is invaluable to the team and in the longer term, in some off-field capacity at the club as a coach. However, we all know that the only way to gain experience is to actually go through situations to gain that experience. With the boos still ringing around the Liberty in the aftermath of the defeat and manner of it to Watford, the “Pick Leon” brigade went into overdrive on social media, which led some media outlets to run stories about it – whilst adding additional and unnecessary pressure on Paul Clement and the club in true tabloid style. 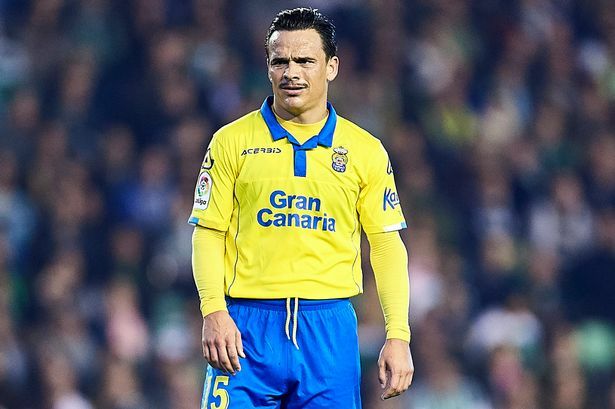 For that reason alone, the time has come to give a player – who is most probably the closest thing we have to Leon – a consistent run of games in that key central defensive midfield role and that player is Roque Mesa. The former Las Palmas midfielder, who signed for the Swans on a four-year deal in July, has only made 3 Premier League appearances since his £11 million move, but showed enough during his 2nd half showing against Watford to suggest he way well be the man to replace Leon. It is interesting to compare the stats of the two players – although in fairness Leon has played a game less than his Spanish counterpart. In his two appearances to date, Leon has averaged 29 passes and recovered the ball 9 times. Mesa on the other hand in his 3 games, has averaged over 33 passes per game and recovered the ball 13 times. Interestingly however, he has also launched 9 accurate long balls and 1 cross, which suggests that the 28 year old Spaniard is possibly of a playmaker than Leon. Leon does however fare better when it comes to duals – having won 50% of his compared to Mesa losing 80% of his. Could this be due to the Spaniard still adapting to the more physical demands of the British game? You can compare the stats of both players for yourself on the Premier League website or that of any of the Swans players for that matter. Of course you can interpret the figures in favour of either Britton or Mesa to suit your preference, but whilst there is no doubting how influential Leon is to the team, the club cannot simply continue to rely on him to pick us up out of the mire every time we have a bad patch. Put simply that is a long term recipe for disaster. Many bookmakers are already shortening the odds on the Swans being one of this season’s relegated teams. Although 10Bet are giving good odds on the Swans recording their first home Premier League win of the season against Huddersfield Town on Saturday. The team needs a new backbone and perhaps now is the time more than ever – given the resources we have until at least the January transfer window – to start the process of change, otherwise there will be far more unpleasant times ahead, not just for Paul Clement but the Jack Army too.